The Fortieth Prompt : Why Bother? A lot of people wonder why we bother with poetry. Nobody wonders why we bother with groceries, or gasoline, or silverware. But poetry? They wonder. Maybe I should tell you a little bit about why I bother: and the prompt this week will be to write a poem about why poetry matters to you. Or why it doesn’t…. 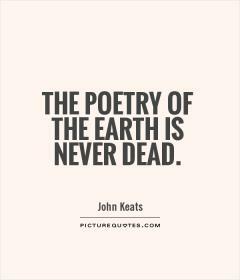 Regularly in the late 20th and now into the 21st century, critics, thinkers, people in the know ask if poetry matters, is poetry dead, what is poetry? Doesn’t that sound a little bit like does God matter, is God dead, what is God? For me, poetry — and I believe this applies to all arts, but poetry is my art — is like God. An idea, a force, an organizing principle, a beloved, a set of rules and expectations, a community — something I can’t live without, something unexplainable, something I think about and try to understand every single day of my life. Something I believe in. Like gravity. I look at the world always, over and over, as a place where I might find poetry. I don’t mean this comparison to be sacrilegious, but rather to elevate poetry in your understanding. Poetry is not my religion; I don’t worship poetry. But there are/were gods and goddesses of poetry, and you could worship one of them… (smiley face). 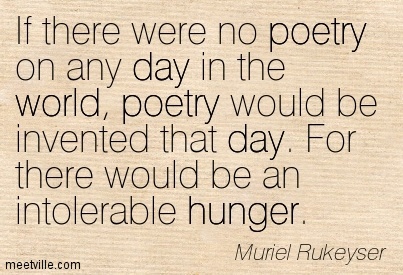 But, of course, poetry is useless, pointless, worth nothing at all. Poets don’t get any respect, they can’t sell their work, they’re awkward, congregate in dark places, spend way too much time staring out the window and day dreaming. Good for nothings. You can’t get the news from poetry. (William Carlos Williams and Adrienne Rich have talked about this a lot). What is he trying to do by starting the poem with “Years later,” — where was he before this poem began? I love how he leans in close at the end, both threatening and laughing, full of the power of poetry and the complete ridiculous futility of it. I hope you’ll see how Flynn’s poem is simultaneously a statement of faith, a swagger, and an acknowledgement of longing. Poets are really rather pathetic silly egomaniacal loners. People who make art with nothing but words. Whoever heard of making art with nothing? Those people be poets. I am proud and resigned to call them my tribe. Leave me a comment, a note, a curse, something, anything, to let me know you’re listening.